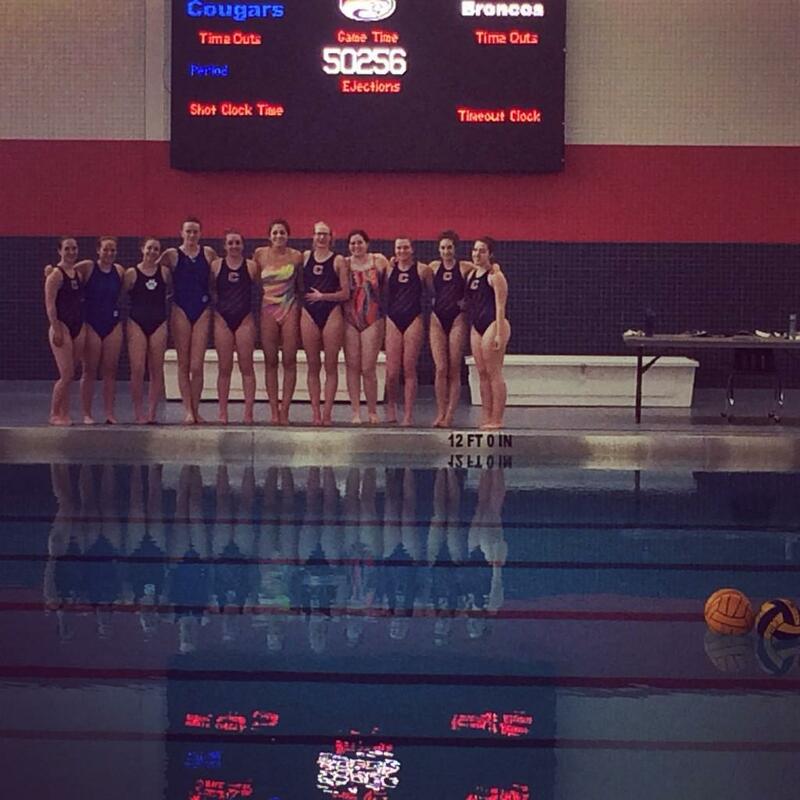 The team before their very first practice in the brand new pool! 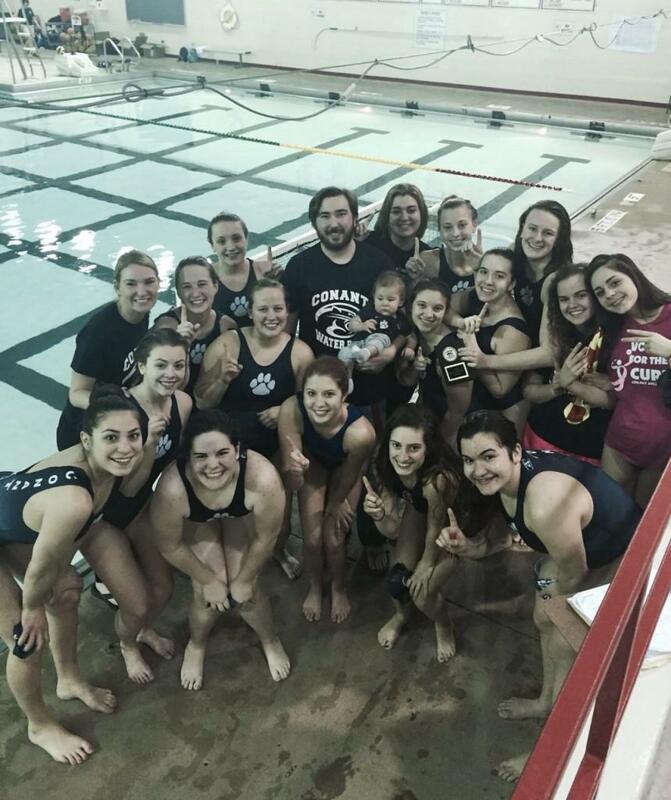 The girls varsity water polo team has gotten off to one of the best starts in Conant history with a record of 18-0, including 7-0 in the MSL West division. Although their season isn’t complete, they’ve continued firing on all cylinders despite the fact that they haven’t had a home game all season. 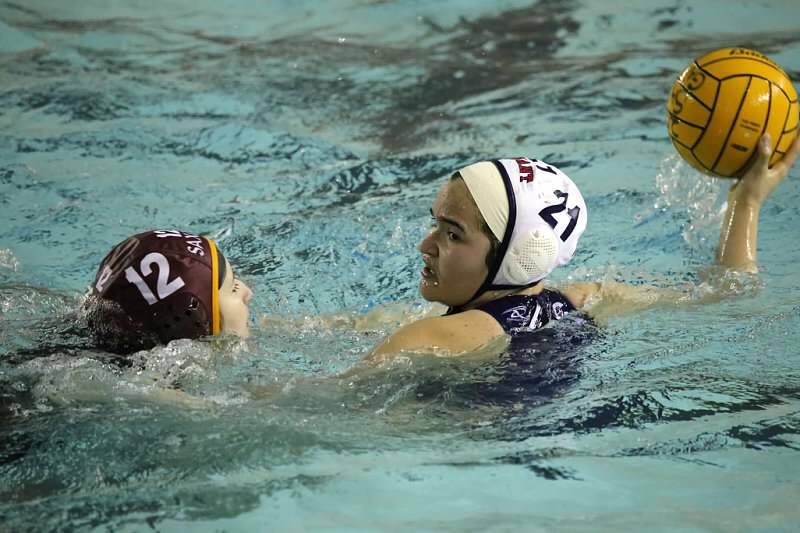 Even though they haven’t been able to practice in their pool for the majority of the season–given the construction–this team has kept their resolve and displayed their ability to fight despite their obstacles. 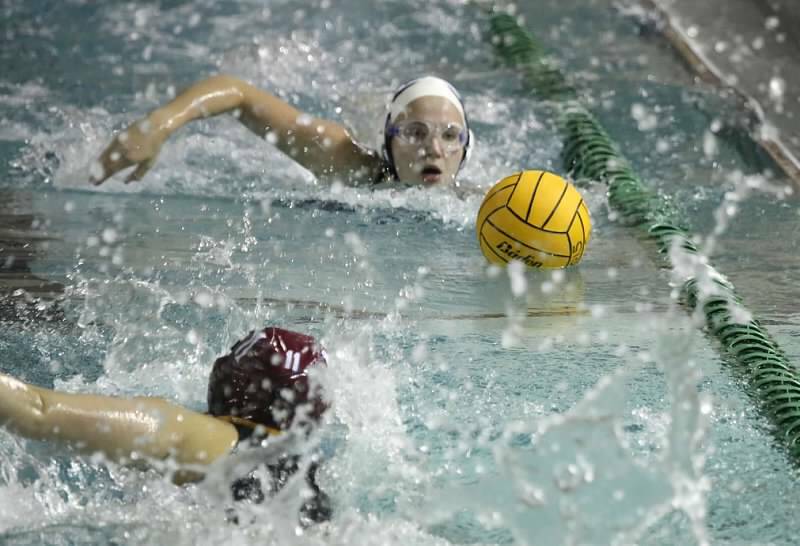 They haven’t lost yet, and many of their wins have been blowouts like an 8-1 win against Fremd on April 1, a 13-3 victory against Elk Grove on April 9, and a 12-0 shutout against Lincoln-Way West on April 11. 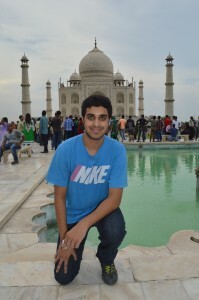 In those games, they dominated both aspects of the game, executing on offense and building a wall on defense. Their defense has been downright suffocating, nearly shutting out the opposition on many occasions. While having a brand new pool is definitely a reason for excitement and motivation, the main reason that they have been playing so well is their talent and experience. Because they have so many strong players, opposing teams cannot focus on one focal point of the offensive attack, leaving the opposing defense helpless. 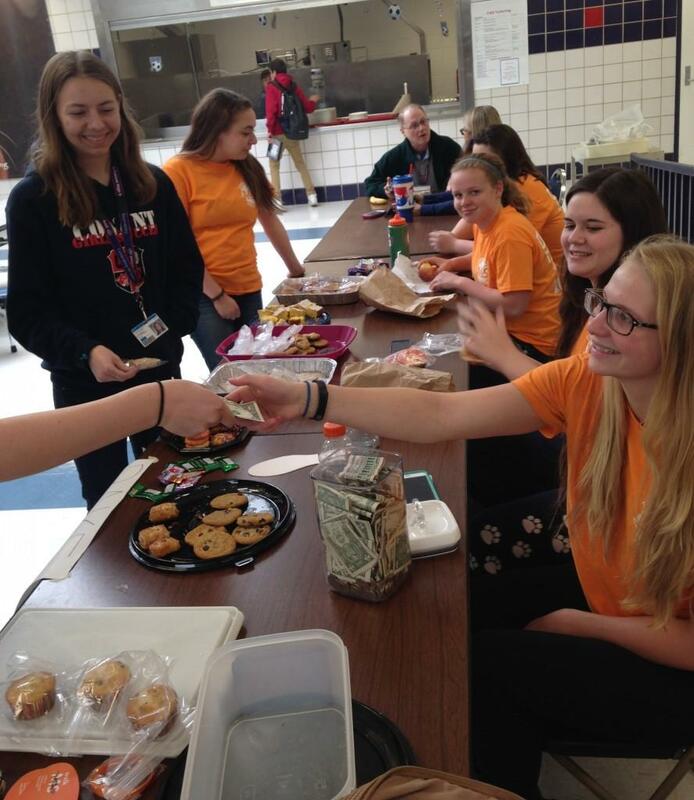 Along with the success they’ve had this season, the girls haven’t forgotten to give back to the community. 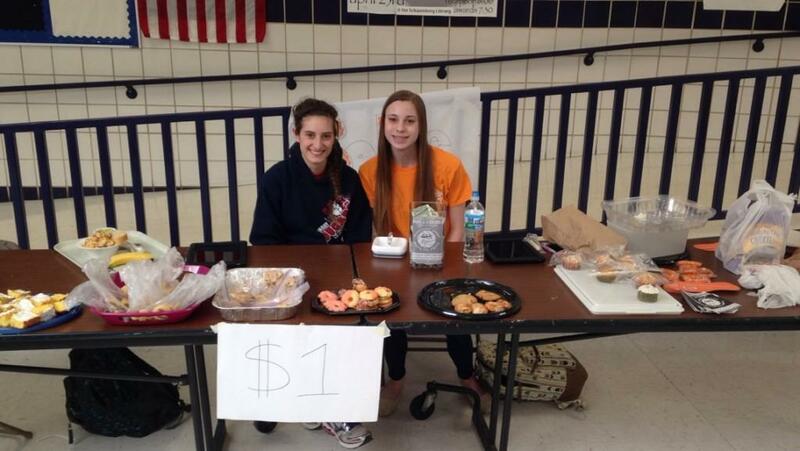 The girls water polo team recently raised over $3,000 for the National Multiple Sclerosis Society. 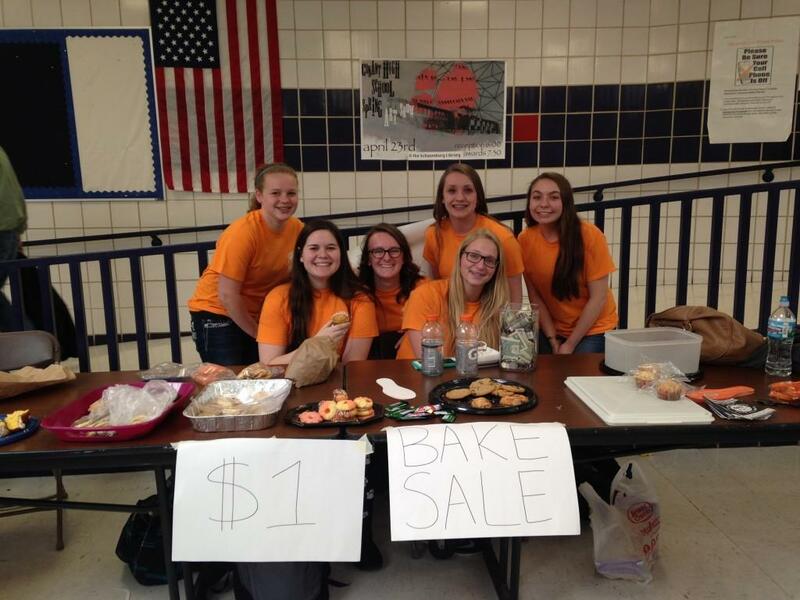 The team held a bake sale on April 15th before school and during lunch periods, and held a fundraiser game at night. The record is accurate as of April 16.